The global variant of ASUS PadFone Mini is not the only PadFone device that made an appearance at ASUS CES 2014 press conference earlier this morning. There is also the new PadFone X although this particular model is apparently made exclusively for US-based carrier, AT&T. The new PadFone X features a combination of 5-inch full HD smartphone and a 9-inch full HD tablet base. However, ASUS and AT&T didn’t reveal much of the hardware that have been equipped into the PadFone X apart from the screen sizes as well as the fact that it is running on Qualcomm Snapdragon processor and Android 4.4 KitKat. ASUS also stated that the new PadFone X will be equipped with NFC capability to allow AT&T customers utilize the device with the carrier’s ISIS mobile wallet. It also will come with the support for Voice over LTE (VoLTE) and HD voice. 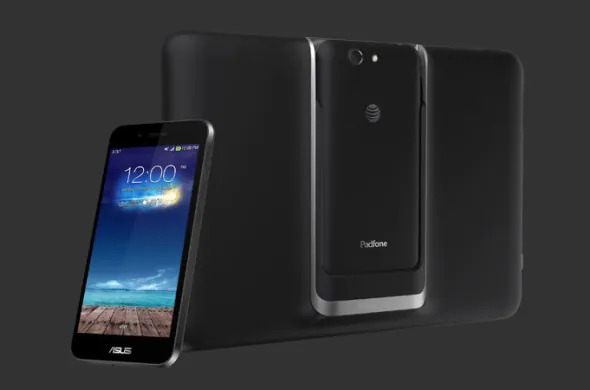 Both companies have stated that more information regarding ASUS PadFone X will be released in the near future. While PadFone X might be made specifically for US market, I’m not surprised – in fact, I believe that features such as VoLTE and HD voice will be made available in future iteration of ASUS PadFone devices for non-US market. The way I see it, it just a matter of time before that happens.